Conducted by Angela Ow from My Community. My Community was formed in 2010 as a society under the Registries of Societies (ROS), and My Queenstown is a component of My Community. We champion the preservation and propagation of history and heritage in communities and civic spaces through research, documentation and forging partnerships with various stakeholders to make heritage and civic life vibrant and enriching. Queenstown: the town with many firsts. The story of Queenstown began 27 September 1953 when British officials from the Singapore Improvement Trust (SIT) named the new town after Queen Elizabeth II in commemoration of her coronation in 1952. The suburb was the then the most ambitious project initiated by the SIT to tackle the overcrowding housing woes in Chinatown. Bounded by Ridout Road, Tanglin Road, Alexandra Road, Holland Road and the Malayan Railway, the self-contained estate would cost some $80,000,000. 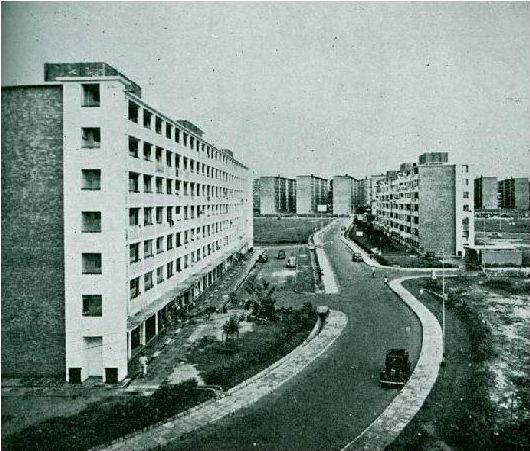 The public housing project contain 11,000 apartment flats, which housed 70,000 people. A myriad of social institutions were also pioneered in Queenstown. In 1956, the first technical school was opened to and equip Singaporeans with technical knowledge and skills to ride Singapore through industrialisation. In 1963, Singapore first polyclinic was established on Margaret Drive to provide access to subsidised healthcare. In 1970, the first branch library and sports complex were established to give its residents easy access to recreational facilities with easy commute. Many iconic buildings and landmarks in Queenstown remain to this day, but a few did not survive the relentless pace of development. Tah Chung Emporium, the Japanese Garden and the former Queenstown Remand Centre were demolished in the last 30 years. In June 2014, the Housing and Development Board announced that 31 HDB blocks at Tanglin Halt will be redeveloped into new and higher residential blocks. 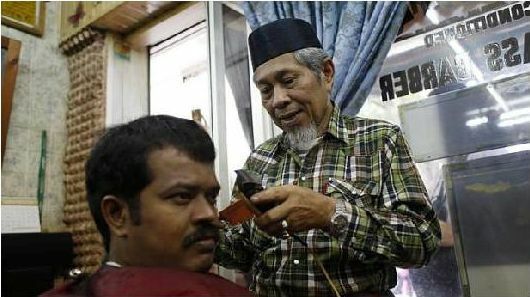 Join us as we visit historical landmarks, and get up close and personal with the neighbourhood through stories shared by long-time residents- Encik Jali-Jali the barber (photo below) and Encik Mahmood who lived in Tanglin Halt since the 1960s.